A rare old bottle from the old Kilbeeggan distillery that was originally made for customs and excise sampling. 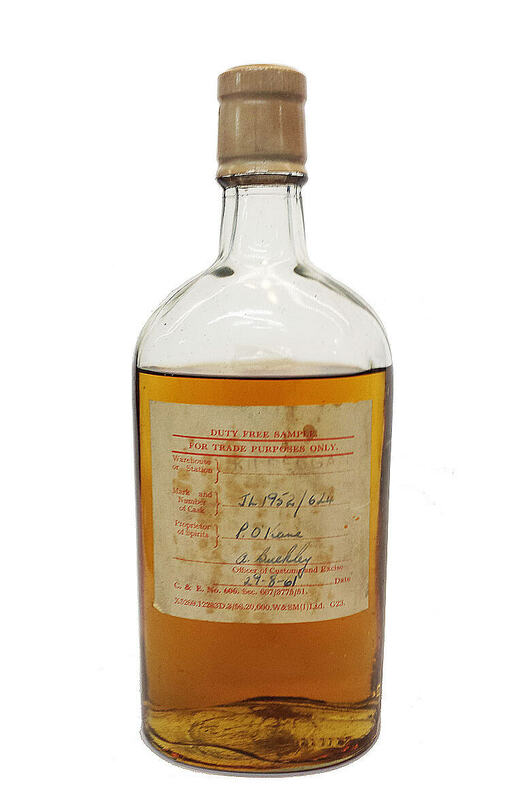 This was distilled in 1952 and bottled in 1961. It bears the proprietor's name of P O'Kane and the customs officer A Buckley.